We’re pleased to announce our next Featured Business, who is located in Western Australia, Australia. 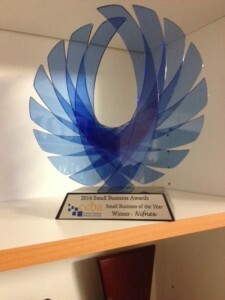 Trophy Studios may still be relatively young, but they have established a great clientele base throughout Australia. Tell us a little about Trophy Studios and the team? Trophy Studios is a home based business with a double garage converted into a luxurious Trophy Studio; with a nice display of trophies, corporate awards, promotional gifts and signs. I love playing golf and any free time I have is taken up by, either playing golf or organising golf events. Together with my brother, we started a trophy and sign business in Kenya, Africa in 1996 and it is now being run by my family. The business is extremely successful with 3 retail outlets, employing over 30 employees and it continues to grow. I enjoy graphic designing and find this business to be creative and fun. I love the service business and we pride ourselves in providing a first class service. There is a great sense of reward and achievement in putting a smile on a client’s face. I left my professional, full time and well paid position to pursue the business of my dreams; because I enjoy it, it does not feel like work. What type of machines do you have and what industries do you service? We have a CO2 Laser with a bed size of 600mm by 300mm and a sublimation printer, together with a heat press. 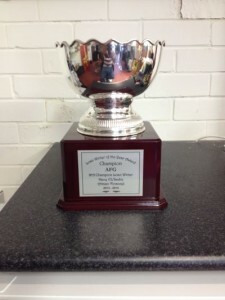 We supply trophies and awards to clubs, societies, schools and anyone else who wants a trophy. 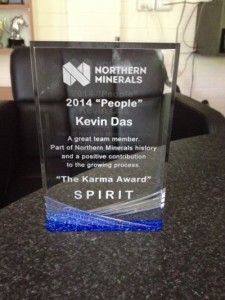 We also specialise in crystal corporate awards. 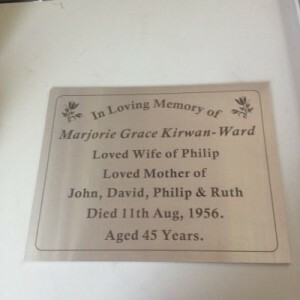 We also supply small business signage and work together with sign companies who have a need to produce small but detailed business signage using a laser. Name badges, and corporate promotional items are also within our ambit. My favourite job has been to create “a hole in one” trophy from scratch. 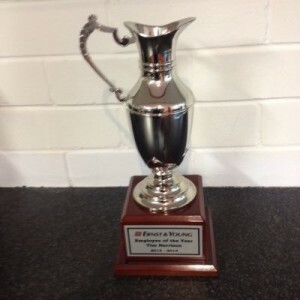 An off the shelf trophy for a “hole in one” does not exist and it was a real pleasure to design and construct one. I used the laser engraver and the sublimation system, to create a 3D look that has been well received by all the clients that have ordered one. I love designing and engraving corporate awards, especially crystal corporate awards and a company like Woodside would be ideal. A portfolio of clients with a couple of big corporates would keep me busy through the whole year. Anything else you would like to add about the industry?